Pink roses are sure to delight for wedding and baby showers honoring moms and brides. This invitation is a classic favorite used for various celebrations. 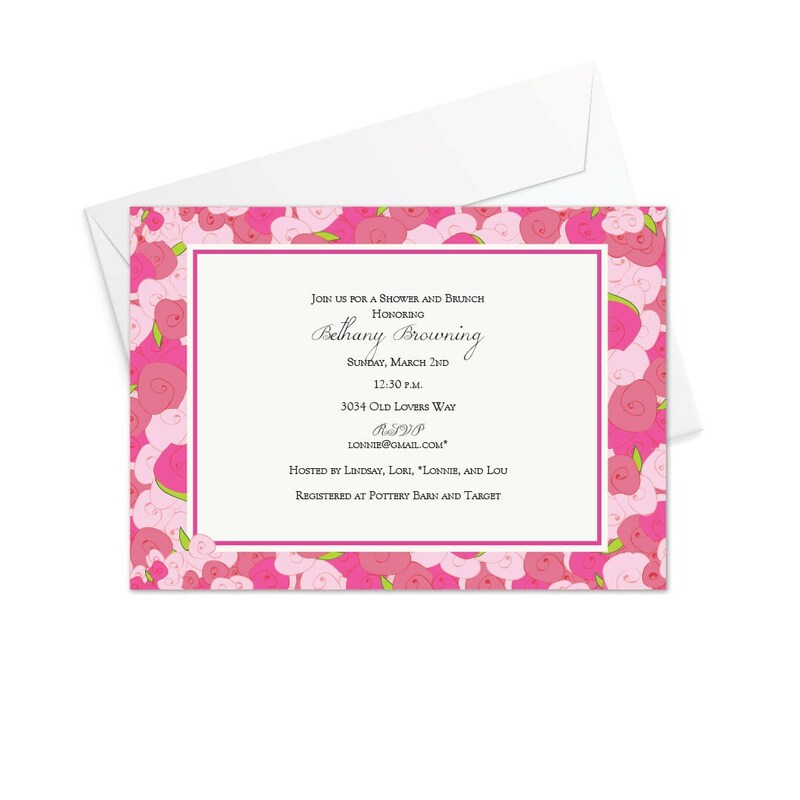 Size 5"x7" invitation printed on bright white paper with recycled content. Bright white envelopes included. Sold in sets of 10. 1. Choose your order quantity and place your order here on our Etsy shop. c. Any other design adjustments, we are happy to customize! 4. When the design is approved, we will send to print and you can expect delivery within 3 to 5 business days. Kentucky residents, please note that 6% sales tax will be applied to your order upon checkout. Orders ship from central Kentucky via UPS Ground or USPS unless otherwise requested. If you have special delivery requirements please message your request. If you are not totally, unbelievably, ecstatic with your order please let us know within ten business days. We will refund the cost of the item + shipping. We are not responsible for items lost or damaged in shipping.